It’s silly, I know, but there’s a tangible sense of relief in the air as I’m handed the key to the pert little CR-Z, Honda’s new 2+2 sports hybrid hatchback coupé thing. Relief rather than anticipation because I’m pathetically delighted to see a key that folds in on itself, in the modern style. By contrast the old-fashioned keys to Honda’s other hybrids – the Insight hatch and Civic saloon – are unyielding metal spears like something from the sharp end of the kitchen drawer, best not carried loose in a trouser pocket. These little things can matter a lot, unless you already have all the children you’ll ever want. 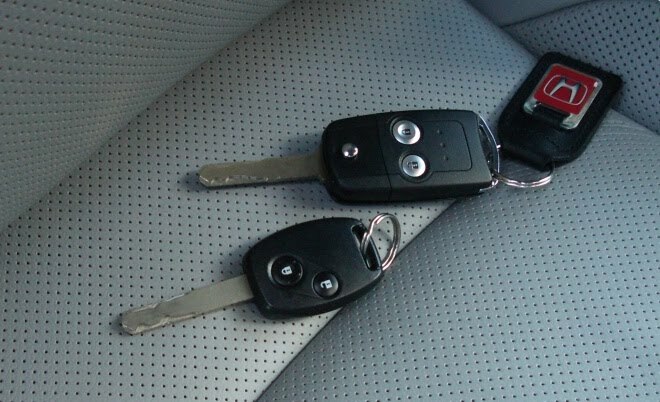 Grab that blissful folding key, plip open the doors, and slide over the prominent bolster into a snug, punched-leather cocoon. Ratchet down the seat – headroom is tight in my top-spec GT model with its glass roof and sliding sunblind. Adjust the seatback by tugging at the horrible, imprecise lever, then strain for the seatbelt hanging from that pillar way back behind you. Check the mirrors – large and square power-folding jobs on each door, plus a view through the centre of the car that’s awkwardly bisected, to remind you that you’re sitting in a hybrid. Adjust the wheel and you’re ready to go. Slot the key home and twist to bring the dash alive, then depress the clutch before prodding the pointless red start button hidden behind the wheel rim. Then survey the Starfleet-style instruments, resplendent in red, white, blue and – of course – green, to remind you to drive with an eye on the mpg gauge. But then a blip of the throttle produces a fulsome rasp from the rear of the car. Is this little hybrid Honda a green car or a sporty car? Or neither? Honda would like to think that it’s all three. To the right of the wheel sits a set of three square buttons, marked Econ, Normal and Sport. Prod them and you’ll change the car’s characteristics, from slow and thrifty through to eager and darty. The buttons change steering weight and the availability of torque from the hybrid electric motor (as well as the backlighting of the instruments and the insistence of the upshift reminder). They really do make a difference too – drive at a constant throttle and riffle the buttons and you’ll actually speed up and slow down. Leave the car in Econ on the open road and you’ll think you’re towing a boat. Put it in Sport and you’ll think that – well, you’ll think you’re in a respectably nippy little coupé, not fast, but lively. In normal it’s in the middle and unremarkable, as it says on the tin. Whichever mode you choose, the car is reasonably frugal. Driving at a normal pace for 50 miles on A-roads and twisty B-roads, switching among the three modes and indulging in the odd spot of Sport-button overtaking, yielded 45.6mpg (according to the car’s own estimates). No doubt a more careful or patient driver could achieve a figure in the 50s. The official combined cycle comes in at 56.5mpg and 117g/km. Along with that fuel economy you get a very pleasant little car. The seats (once adjusted) are great, the handling tidy, the ride reasonable. Forward visibility is good, without the mammoth blindspots that are the hybrid norm. Over the shoulder and rear visibility are as awful as you’d expect from just looking at the car from the kerb, but then they are part of the parcel if you want a rakishly shaped coupé. Pedal weights and steering feel are good. It’s very easy to plant the CR-Z exactly where you want it on the road, and to feel like you’re making good progress on a twisty B-route. Instant torque from the hybrid electric motor makes the car feel quick to respond, and we never felt weighed down by the batteries at the rear. Niggles turn out to be few. The rear seats are pointless, some plastics felt nasty, I’d prefer a space-saver wheel to a bottle of goo, the 6-speed gearbox is easily mis-slotted, and the engine stop-start system can be relied upon to stop but not to start. Like many current cars, the CR-Z will halt its engine when stationary, to spare the earth a few puffs of CO2. But unlike others I’ve tested, the car’s brain will occasionally manage to get its bits in a twist, leaving you motionless, in gear, pressing a lifeless accelerator and going nowhere. Dipping the clutch for half a second will spin the engine back into life, but it really oughtn’t to be possible to outfox the car so readily. Even Kia can get this stuff right, so for Honda to get it wrong is a big, bad surprise. Honda expects to sell 3,500 CR-Zs in the UK over the next 12 months, mostly in the mid-range Sport spec at about £18,000. 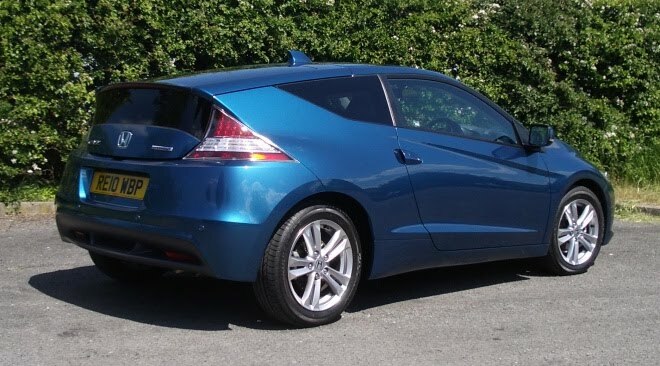 The cheaper S costs just under £17,000, while £20,000 is required to drive off in a CR-Z GT with its glass roof, heated leather chairs, xenon lamps and Bluetooth kit. Built-in satnav is extra. All three models offer the same performance – 124mph flat out, 9.9 seconds to 62mph, and a 122bhp peak from petrol and electric combined. Honda thinks the most likely buyers will be professional urbanites, aged 25 to 35, alongside older empty nesters looking for an economical and fun second car, plus the odd business buyer after a low-CO2 drive with a bit of pep. 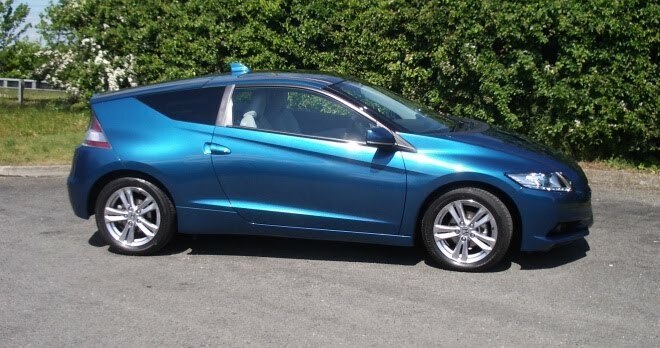 I think that all of the above will find a lot to like in the Honda CR-Z. All of a sudden the default-choice Mini looks frumpy, old fashioned and as common as a cold.